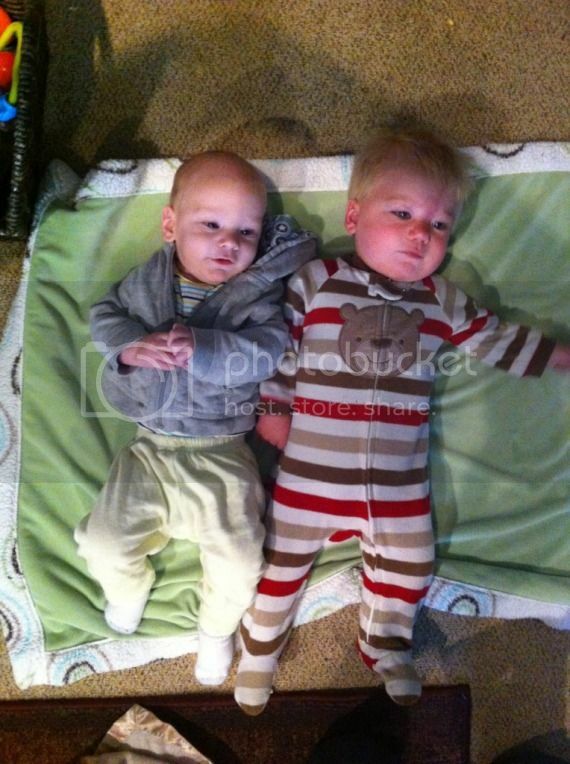 Dominic and his cousin Stephen are just seven months apart and Dominic is already racing to catch up. I never notice how big Dominic is for just four months old until I see him next to another child, or a stranger tells me "really, he is only four months, he looks so big". After I proceed to tell them that "I am sure" and "he was born on November 5th", they accept his height and birth date and tell me he will be up to my eye level in no time, and this is the very statement of truth that I am most afraid of. Not only will he surely pass me in height and weight by the time he is five, he is going to do it "in no time". In no time he will be rolling all over the house, in no time he will be eating beans and avocado and pureed carrots, in no time he will be walking, in no time he will be going to school and playing sports, in no time he will be making his own lunches and in no time he will be starting a family of his own. And in between each "no time", I will wonder where the "no time" actually went.